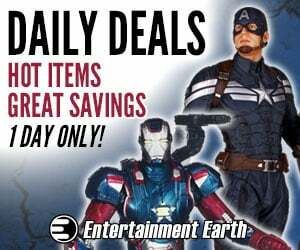 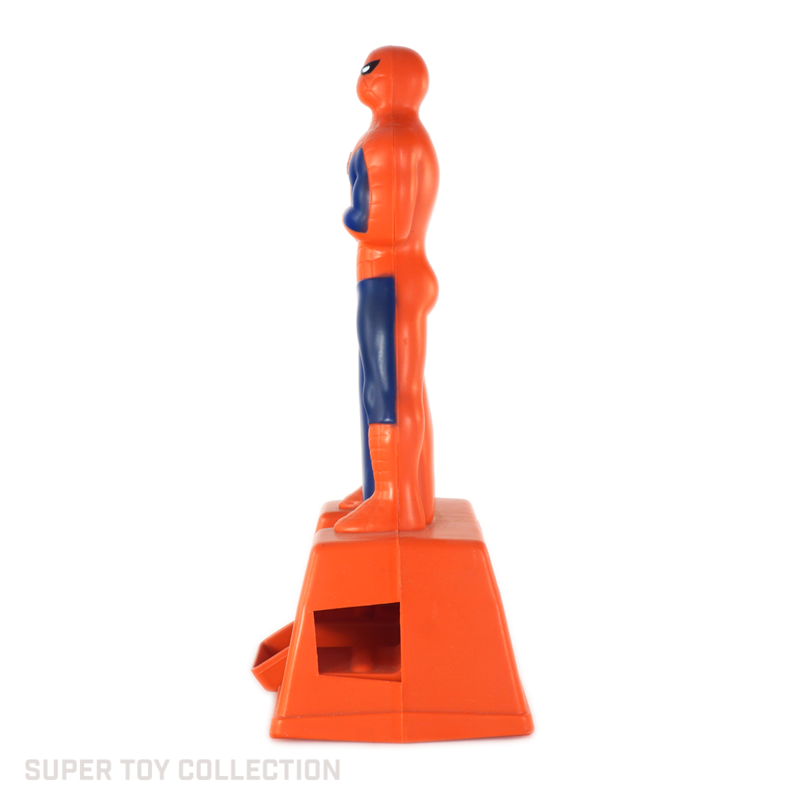 This figural Spider-Man gumball dispenser stands at an impressive 11″ tall. 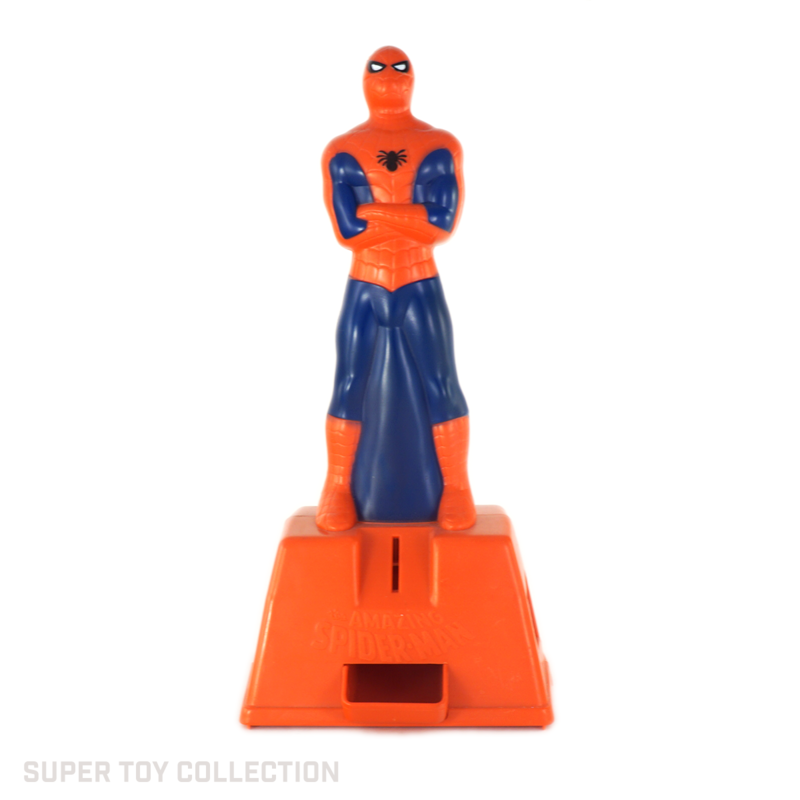 You drop a gumball in the hole in the back of the figure, and when you insert a coin into the slot, you get your candy back. 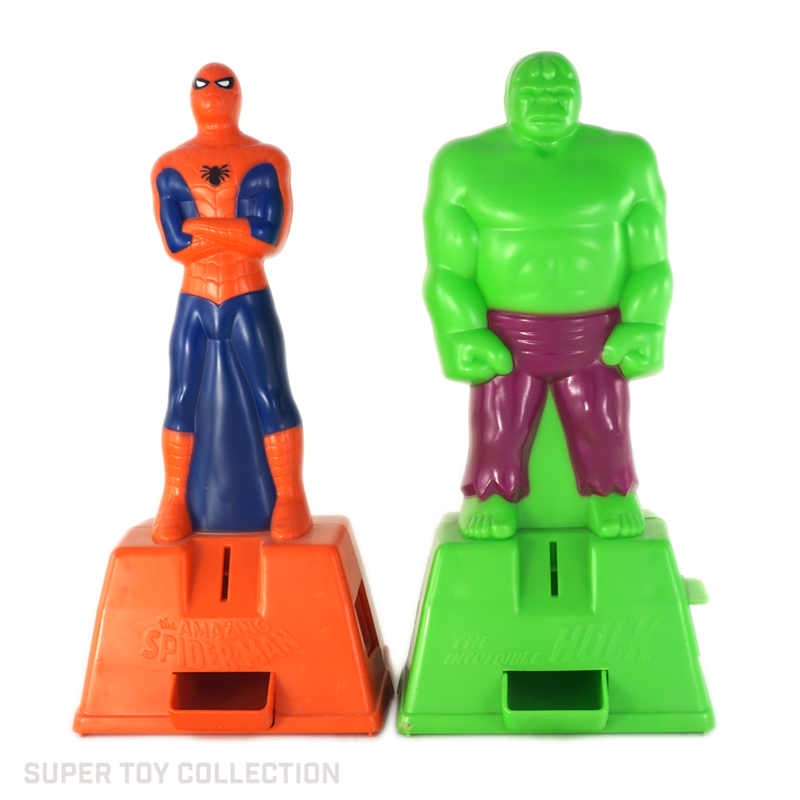 Hasbro released a similar Hulk dispenser as well.